Jess Forster knew she was addicted to scrapbooking after completing her first Week in the Life project in 2010. Taking a photo journalistic approach to memory keeping, Jess’ motto for the hobby is to: “document her family life adventures, big & small”. Jess loves paying attention to the life’s details via heartfelt journaling, divided page protectors, traveler’s notebooks, hybrid elements and big bold photos in her layouts. Jess has been on a variety of creative teams including Becky Higgins Project Life Creative Team (2014); Ali Edwards Creative Team (2017-present) and Elle’s Studio Design Team (2018). Jess has taught online at Big Picture Classes (2015-2016), in various scrapbook stores across Ontario. From time to time, she interviews other memory keepers on her podcast, Pocket Talk. 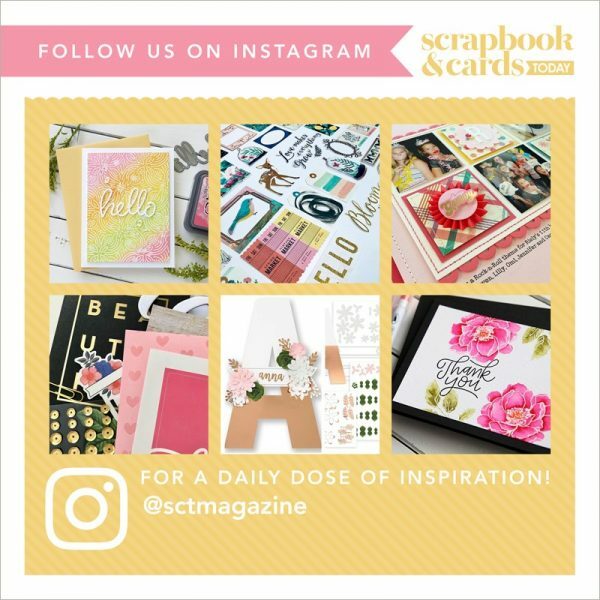 Jess especially loves connecting with fellow scrapbookers in person at the Scrapbook & Cards Today magazine Crop & Create events and has done so since 2016. When Jess is not getting crafty or making memories with her husband and two kiddos, Rowan and Sam in the Beaches neighbourhood of Toronto, ON, you can find her listening to podcasts, running or drinking too much coffee. Catch up with Jess via her blog or on instagram.